The Queens Park Hotel first opened in 1893 at 11 Wellington Terrace on the island of Trinidad. It was the first hotel of its status on the island, and by many accounts, the first opportunity for the island’s well-to-do inhabitants to enjoy a dining experience on par with the great luxury hotels of the era. Most contemporary bits of writing regarding the swizzle drink of the same name confidently state that it was created there, and that it was created in the 1920’s, but we haven’t seen any history to back this up. Adding to the confusion: the Queens Park Savannah, which the hotel was named after, also served as a popular cricket ground and easily could have inspired the cocktail with or without the hotel. The earliest printed version of this recipe we can find is in the first edition of Trader Vic’s Bartender’s Guide (1947). We haven’t seen this cocktail printed in any of the other popular books of the 30’s and 40’s, though both The Gentleman’s Companion (1939) and The Old Waldorf Astoria Barbook (1935) include a recipe for the very similar Jamaican swizzle. 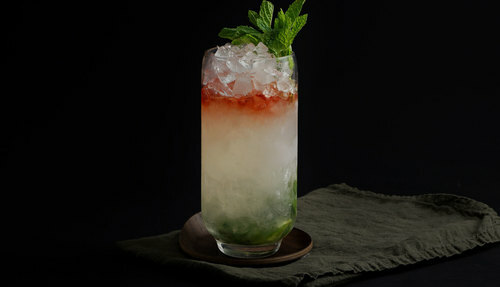 The primary difference between the Queens Park swizzle and its Jamaican cousin is the use of regional rum and Angostura bitters, which makes sense given the famous flavorer’s Trinidadian home. It’s a shame however, that even the 1934 book Angostura Recipes does not contain anything resembling the recipe printed here. The 1948 edition of The Gentleman’s Companion contains an updated Jamaican swizzle that does include Angostura Bitters, making it nearly identical to the Queens Park variation, so long as you tweak a few proportions and substitute Jamaican rum. It would be great to see some movement regarding the history of this recipe, as the Queens Park swizzle has recently become a torchbearer for the historically important swizzle style of drinks. 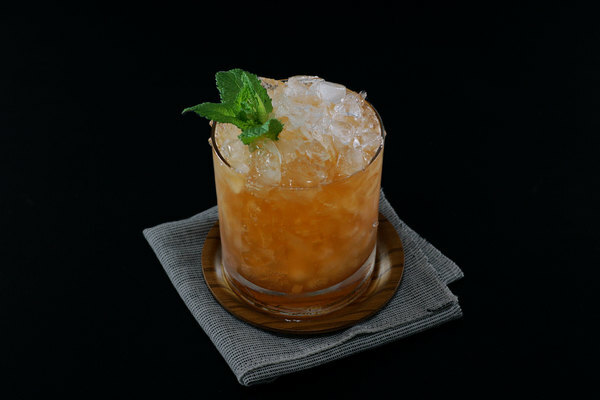 The reason for it’s rise to prominence is unknown to us, but the drink’s memorable name and intoxicating combination of Angostura and dark rums are likely a good start. Angostura adds an excellent dosage of spicy complexity to what is otherwise a tall, refreshing cooler. A dark demerara rum adds to the regional flair, and again moves the drink from hot-day tippler to a more full-calendar experience. Because it is layered, the drink changes over time; the ingredients at the bottom become increasingly more intense as the sips continue and the drink shortens. 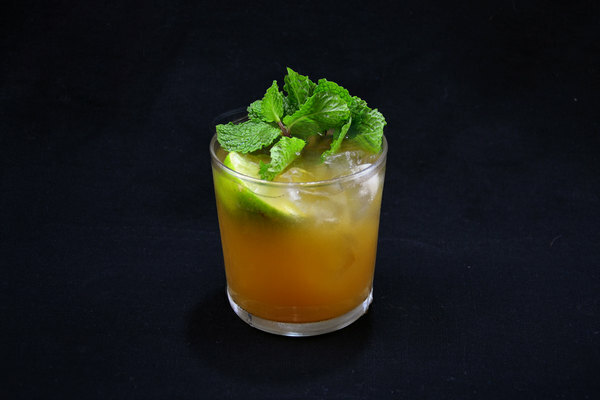 History aside, this drink and it’s Jamaican counterpart undoubtedly serve as one of the oldest and simplest precursors to the modern tiki drink, and like their rummy children, they benefit from experimentation and flair. 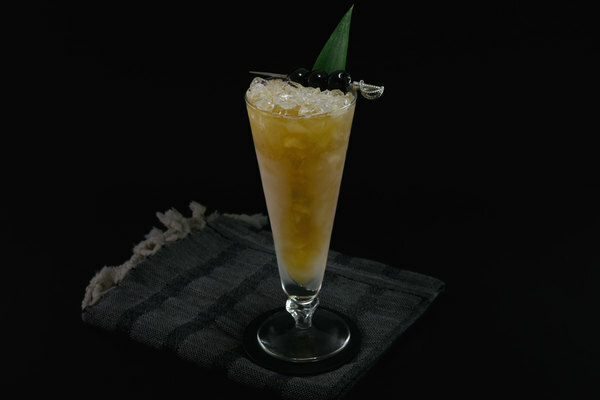 Most modern recipes call for a dark aged or demerara rum, though as Smuggler’s Cove points out, demerara rum wouldn’t have been available in Trinidad when the cocktail was supposedly made. A good dark rum will always pay dividends, but in summer months a complex light rum will work too. Most older books muse on the exotic mystery of the swizzle stick, but a light bruising from a standard muddling tool will do just fine. As with any good tiki drink, pile the ice up high and finish with a showy garnish.